“Reason” is often defined as the power to comprehend, judge, and think rationally. 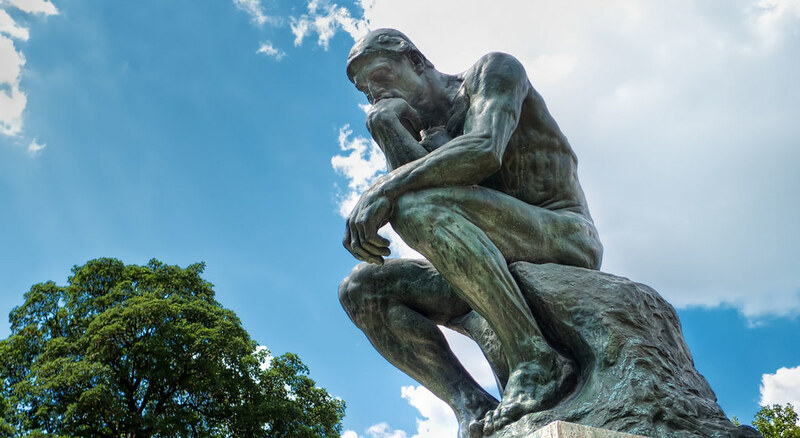 In a recent article, author Alexandra York describes the necessity of reason in understanding and thriving in a complex world—that is, the world we live in. In the article, York argues that reason is a fundamental that all worldly citizens must have. Not only does she say that reason is necessary, she contends that without reason, the world descends into a place where people can be manipulated into believing in illogical things. In short, York says that everyone should work to employ reason in order to build a more satisfactory—and healthier—lifestyle. Biologically, parasites are organisms that invade the skin’s surface or internal organs of another living creature in order to survive by robbing their “host’s” store of nutrients thus diminishing or depriving nourishment to the host. Sociologically, America’s welfare system has created what regrettably can be termed human parasites by giving unnecessary “aid” — monetary payments, housing, healthcare, etc. — to (by now) generations of perfectly capable people who permanently obtain their survival needs from other humans who produce the money providing these benefits. Although many individuals actually warrant (temporary) assistance, the harsh truth is that like biological parasites these “freeloaders” leach “nutrients” from healthy, in this case wealth-producing, “hosts.” Unlike biological parasites they do not directly harm individual hosts; they drain producers through government taxation-expropriation via a socio-economic system that takes some fruits of labor from producers to give to non-laboring non-producers. But this isn’t the worst. Psychologically, in America we now endure a swiftly proliferating kind of parasite that invades neither the human body nor the purse. This parasite takes many forms and invades the human mind via ideas lethal to healthy cerebral functioning necessary for life-supporting behavior. America is not the only country where ideological parasites are embedded into its socio-economic/political-educational-communication systems, but it’s the latest to succumb to severe infection from deleterious ideas anathema to sound human mental health. All living creatures, including humans, rely on a biological immune system to fight off disease (including physical parasite invasion), but because of free will rather than lower-animal instinct, humans also must have a mental immune system consisting of values from which to choose in order make judgments and decisions. Values are principles selected or accumulated to guide choices; they can be rational or irrational. Over 2,000 years ago, Aristotle conceptually identified the faculty of reason — logical, non-contradictory thinking — as the fundamental requisite for human survival. Activating reason means that values and choices will be consonant with verifiable facts and existential reality. If reason is damaged and/or abandoned, then unfounded or even life-destroying anti-values can flourish and render the human mind incapable of making choices that support independent personal survival. Individuals bereft of reason must then survive off the production of others who do employ reason. Socially fake-dependent human parasites are of a passive nature; they merely survive physically off the monetary wealth of producers. Now, however, our socio-economic/political-educational-communication system is creating mental breeding grounds for power-hungry parasites to propagate. Power means having the ability to get others to do (or think) what you want them to. Public (and much private) education that imposes group oriented, politically correct tenets rather than independent, critical thinking skills to students are advancing ideological and behavioral conformity that deprives young people the opportunity to activate and practice the ability to reason — the only means to achieve a fulfilled, productive, and self-sustaining adulthood. Educators who employ such tactics do not teach; they indoctrinate by way of parasitically paralyzing rational thought and injecting venomous ideas into value systems of the young, who are vulnerable because they are in formative stages of mental development. Humans are born with the faculty of reason, but reasoning itself is not automatic; it must be learned. Irrational ideas that damage human nature’s survival requirement (reason) flout the facts of reality; thus, once students are infected with non-reality-oriented ideas, insecurity, and childish emotionalism take the place of thinking. Like undisciplined little kids, irrational individuals cry, scream, throw temper tantrums, and sometimes become violent when they don’t get their way. Witness today’s university students. What do educator-parasites get out of this? Nourishment for their own irrationality by destroying reason in their host-students and a pathological sense of power when they succeed in converting others to validate themselves. Most of today’s media — entertainment and news — consist of agenda-driven actual or wannabe celebrities intent on invading minds of the gullible adult masses with senseless violence and senseless views on nearly every possible senseless subject. What do media-parasites get out of infesting host-audiences with unhealthy pastimes and ludicrous and/or false ideas? Nourishment to boost their own inane shallowness by influencing lifestyles and thoughts of others who (absent reasoned judgment) admire them and a pathological sense of superiority and power when they succeed. After decades of increasing government regulations preventing free-market commerce that otherwise would respect decisions for gain or loss made independently by businesses, government now dictates not only economic activity but also hiring, firing, “diversity,” “equal pay” and other so-called “nondiscriminatory” employment requirements, internal employee behavior, and more. This massive invasion into business practices smothers the private sector into submission both financially and behaviorally to politicians’ demands, thus depriving individuals and companies from using reasoned judgment to run businesses according to their own values. What do politician-parasites get out of using force of law to control others? Position, perks, and power. More power. And more power to feed their insatiable greed for . . . raw power. Once settled into host organisms, all parasites survive by attacking weak immune systems or actively weakening a healthy immune system until it becomes receptive to nourishing the parasite. Americans currently suffer both a longstanding but increasing physical (economic-behavioral meddling by government) and a fast-breeding mental (irrational indoctrination/influence by educators and media persons) parasitical epidemic. The only antidote for this colossal whole-culture parasite induced insanity is reason. Where reason resides parasites of the mind cannot penetrate nor proliferate. When individuals fail to utilize reason, they have no valid value system to provide immunity against thought-invading parasites; thus, as more and more Americans become underdeveloped, slothful of mind, or unresistingly submissive to tyrannical dictates we witness the alarming deterioration of an exceptional, robust nation into an obedient collective of “hosts” to nourish brain-devouring parasites. Exceptions exist, but parasites of the mind have colonized education, media, and government. Victims are young, dull-witted, or fearful. Ergo: Protect your mental immune system against parasite invasion by strengthening your own faculty of reason. Listen circumspectly. Think logically. Judge critically. Decide objectively. Speak openly. Teach truthfully. Behave sensibly. Live . . . rationally. This article was originally published by Newsmax Media. Alexandra York is an author and founding president of the American Renaissance for the Twenty-first Century (ART) a New-York-City-based nonprofit educational arts and culture foundation (www.art-21.org). She has written for many publications, including “Reader’s Digest” and The New York Times. Her latest book is “Adamas.” For more on Alexandra York, click here.